VULCAN is Worlds Best Water softening Solution as it removes all scaling from any type of Industries. Got many International awards for the Green Innovative product. Made in Germany. NO CHEMICALS, NO MAINTENANCE and NO WATER WASTAGE. Sunway Technologies Pvt. Ltd. is the most renowned company that was established in the year 2009 at Bengaluru in Karnataka, India. Our company is engaged in the manufacturing, supplying, exporting, wholesaling and trading of Commercial Water Softening Plants, Water Treatment Plants, Commercial RO Plants, Whole House Water Softener, Vulcan & Calmat Water Conditioner, ElectroMagnetic Water Softener & Air Purifier. 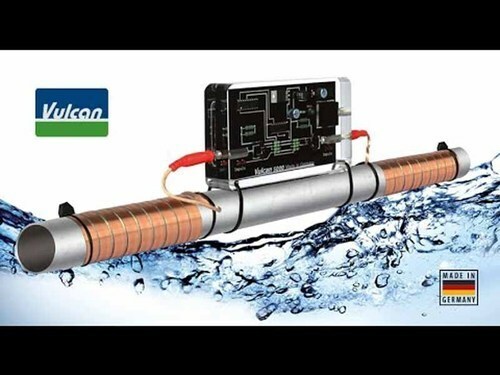 The company is dealing with Leading Brands Like Aquionics Water Softener, Vulcan Water Softener, Calmat Water Conditioners, Turbo Water Softener, Turbo Air purifiers, and Electro Magnetic Water Conditioners. Our Company is ISO 9001-2008. Our Products are of Very High Quality and meet European standard. We cater Indian and International Brands based on customer needs. All the Products have warranty and Service provided by Authorized personal and full support. Also, we produce products that are easy to use, mess free, Zero Maintenance, economical, environmental friendly and patent infringement free.